Andy Grove, the brilliant Hungarian-born former chief executive and chairman of chip-making colossus Intel, and one of Silicon Valley's most revered business leaders, died Monday at the age of 79. During his three decades with the Santa Clara corporation, the gruff and demanding Grove helped mold Intel into a multibillion-dollar Goliath and the world's biggest semiconductor company. Along the way, he also became a prolific author, donated millions of dollars to charity and was lavished with awards, including being named Time magazine's Man of the Year. 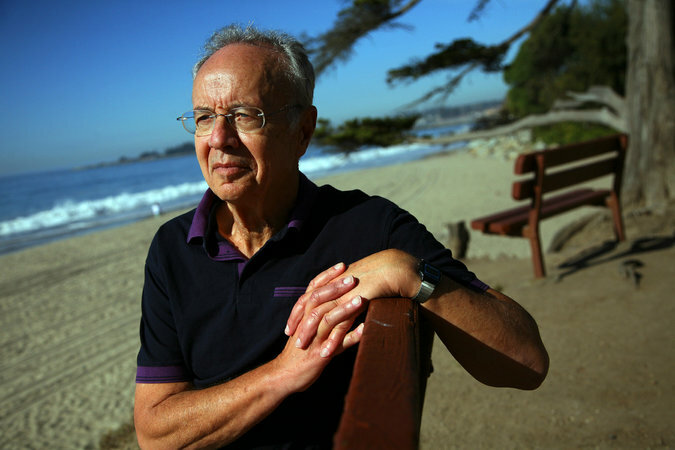 “Andy Grove was one of the giants of the technology world. He loved our country and epitomized America at its best. Rest in peace.” — Tweeted by Apple CEO Tim Cook. Besides presiding over the development of Intel’s memory chips and microprocessors in laboratory research, Mr. Grove gained a reputation as a ruthlessly effective manager who spurred associates and cowed rivals in a cutthroat, high-tech business world where companies rose and fell at startling speed. Mr. Grove’s famous slogan, “Only the Paranoid Survive,” became the title of his 1996 best seller describing his management philosophy. Mr. Grove in some ways was considered the father of Silicon Valley, said David B. Yoffie, a professor at Harvard Business School and a longtime Intel board member. Mr. Grove’s influence, Mr. Yoffie said, came largely from his ideas about organizational practices and design — Intel was the birthplace of nonhierarchical, open settings and low-partitioned cubicles rather than walled-in offices. Mr. Grove’s work ethic, his personal drive and his notion of the value of “creative confrontation” became the managerial model for generations of Silicon Valley entrepreneurs and executives like Apple’s co-founder Steven P. Jobs, who regularly sought Mr. Grove’s counsel, Mr. Yoffie said. Mr. Grove, a tightly coiled, slim man of medium height, was by no means infallible. Several times during his long involvement with Intel, the Silicon Valley giant courted disaster. The causes ranged from unexpectedly tough competition to faulty Intel products to poor management decisions. Mr. Grove’s management ideas helped make Intel, which has its headquarters in Santa Clara, Calif., one of the most profitable companies in the world, with an average annual return of more than 40 percent for its shareholders from the late 1980s to the turn of the century. Andrew S. Grove was born Andras Grof on Sept. 2, 1936, into a Jewish household in Budapest. His father owned a small dairy business, and his mother helped keep the books. As a child, Mr. Grove was afflicted with scarlet fever and an ear infection that left him almost deaf. His father was rounded up by German troops occupying Hungary during World War II and sent to a labor camp, where he survived typhoid and pneumonia. Mr. Grove in 1991 with a silicon wafer, part of the process to make Intel’s 386 microprocessor. Credit: Paul Sakuma/Associated Press.